of the website. In an effort to establish open streamlined communication between the department,citizens, and the news media, I have overseen the project of bringing the website current. to work together to solve crimes and make this a safer and better community. I strongly feel that an informed public is a safer public. 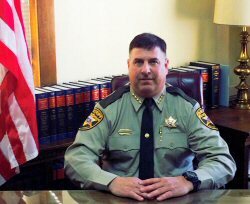 I encourage you to take a look at the website as I trust this website will enable you the citizens better access to YOUR Sheriff’s Department. Thank you for visiting the Wayne County Sheriff’s Department Website.